Great to be back after a few hectic days. 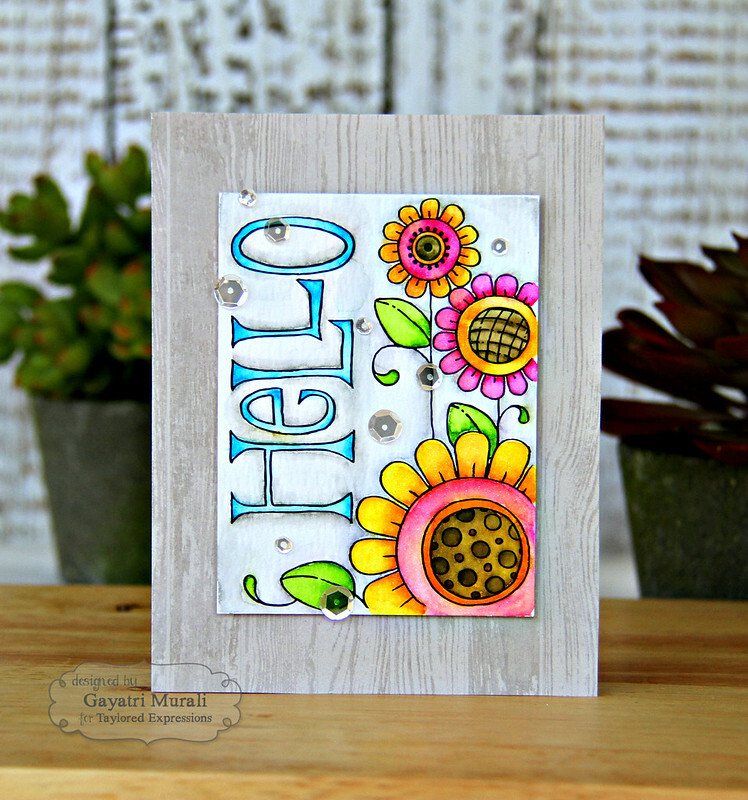 I have a CAS card share using Taylored Expressions Watercolor panels. 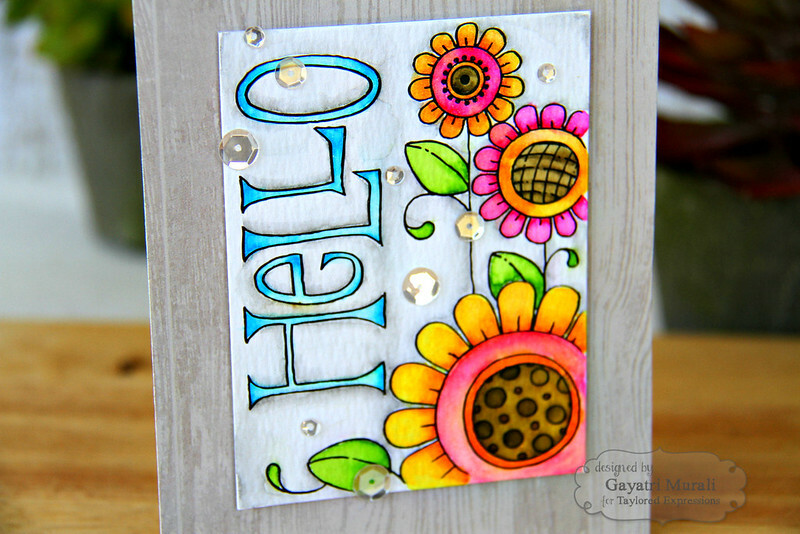 The watercolor panels are trendy at the moment in cardmaking. They are basically doodle images printed on watercolor paper. These panels are 3 x 4 inches in size. Can be used either on the card or as project life cards. Here is my card using one of the panels from Keep in Touch Watercolor panels from Taylored Expresssions. I simply coloured the panel using Zig Clean Brush watercolour pens. Then I added shimmer to the flower petals using Wink of Stella pen. I tossed between adhering the panel on plain white cardbase or on a pattern paper. Finally I chose the pattern paper with woodgrain pattern which is subtle on the background and still makes the watercolour panel pop right at you. I added some Sparkling Clear sequins from Pretty Pink Posh. Here is a closeup of the card. There are two more watercolour panel sets from Taylored Expressions called Uplifting and Christmas for you to choose and watercolour. I love them all. Great alternative to colouring books and much more affordable.